16 oz. 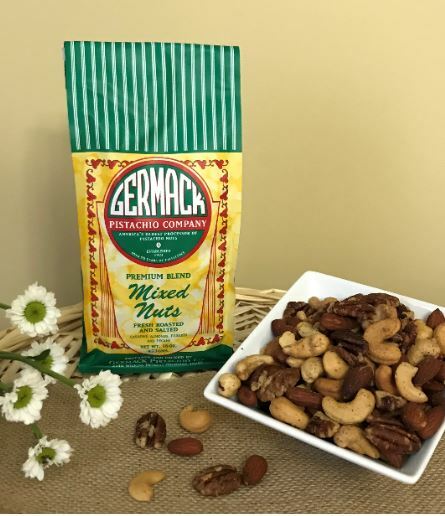 of deluxe fancy mixed nuts, a true Germack classic. A pleasing blend of Super Large Cashews, Almonds, Pecans, and Filberts. Roasted in canola oil & lightly salted. Packed into our signature bag to lock in freshness. This is a great gift any time of year but is a very popular holiday gift item.